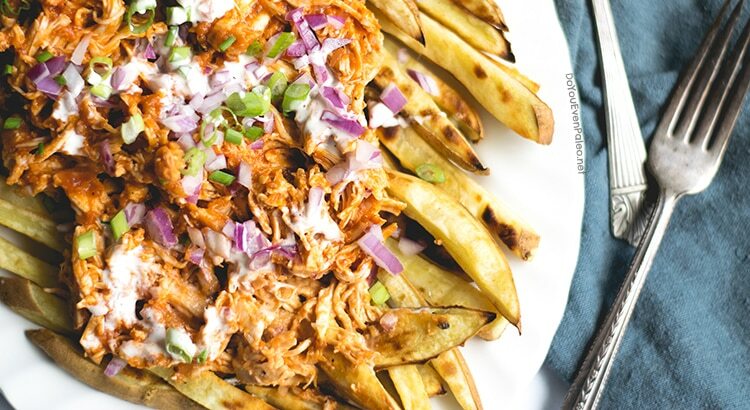 BBQ Chicken Smothered Sweet Potato Fries are an example of my ideal meal anatomy. You’ve got the base – simply baked sweet potato fries in all their carby splendor. Pile on some protein made flavorful via sauce or spices. Add a generous heaping of toppings like chopped veggies and herbs. Drizzle on extra sauce to truly get things going. 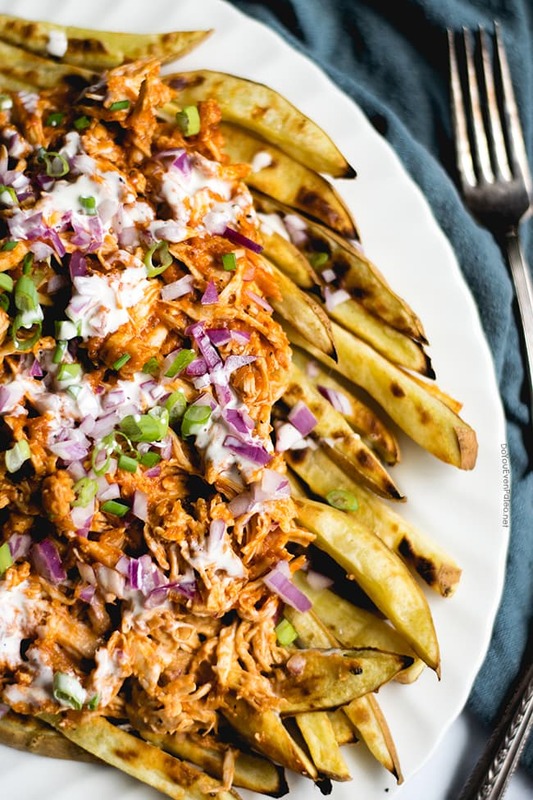 That’s the exact formula for my (insanely similar) Buffalo Chicken Smothered Fries recipe. In a way, this feels like cheating…but frankly, I enjoyed this meal too much to keep it to myself! I discovered a new-to-me way to quickly make shredded chicken while developing this recipe. Props to Stupid Easy Paleo for tipping me off! Essentially you poach the chicken in a deep skillet on the stovetop. Poaching has always been one of the more obscure and mysterious kitchen techniques (at least for me). If you’ve never poached anything before, it might sound daunting… but seriously, it’s not as contrived as it sounds! Poaching chicken breasts is surprisingly quick and simple. You get perfectly moist shredded chicken in about 20 minutes. Of course, you can also just use leftover roast chicken, dutch oven shredded chicken, or rotisserie chicken if that’s your jam. Use your favorite paleo-friendly barbecue sauce for this recipe. I used my homemade peach barbecue sauce — it’s a great choice, but certainly not your only one! Make your favorite recipe. Alternatively, Tessemae’s or Steve’s Paleo Goods both have ready-made BBQ sauces if you want to venture down the pre-made route. 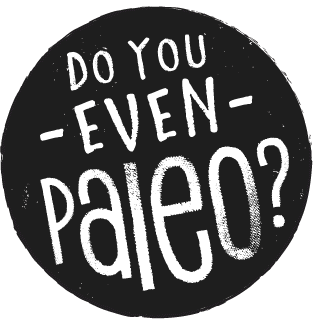 Of course, it you aren’t concerned with paleo at all just use your favorite BBQ sauce and call it good. Slice the sweet potatoes into half inch thick planks, then cut into uniform-sized fries. Toss the fries with olive oil and sea salt. Line a large baking sheet with parchment paper and spread the fries out, being sure none are touching. You may have to do two batches! 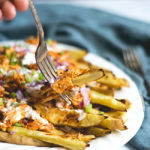 Roast the sweet potato fries for 10 minutes, then remove from the oven and flip the fries. Return to the oven for an additional 8-10 minutes. While the sweet potato fries are roasting, poach the chicken breasts if necessary. Place the chicken breasts in a deep skillet and season with a bit of salt. Pour water into the skillet until the chicken breasts are completely covered. Bring the water to a boil. Once boiling, reduce the heat slightly and simmer for 15 minutes. Transfer the chicken breasts from the skillet to a heat-safe bowl. Discard the water. Use two forks to shred the meat. Add the barbecue sauce to the shredded chicken and stir until the chicken is completely coated in sauce. I’ve only made this with homemade BBQ sauce, so you may want to start with half the sauce and taste before dumping it all in! Now it’s time to assemble the smothered fries! Split the sweet potato fries between two plates. 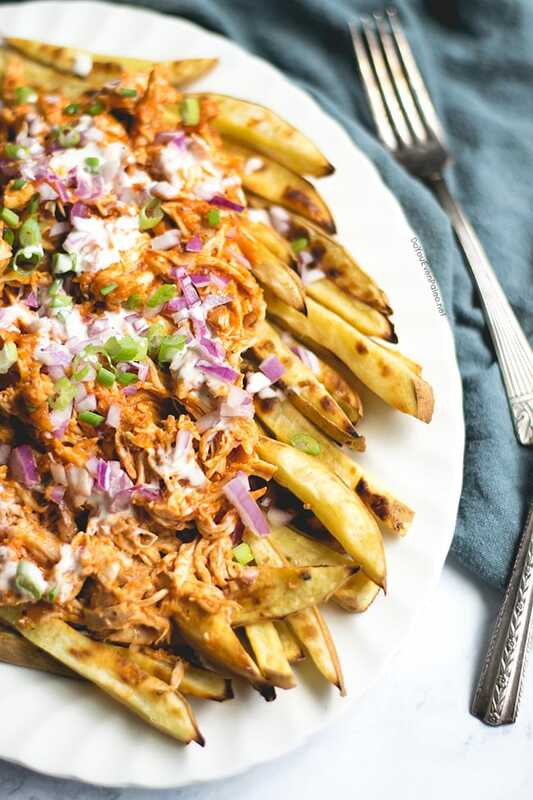 Scoop half of the barbecue chicken mixture onto each bed of fries. Top with diced red onion, green onions, and additional barbecue sauce if desired. In a small bowl, whisk the mayo with enough water so it’s thin enough to pour. Start with about 1/2 tablespoon and increase as you whisk. 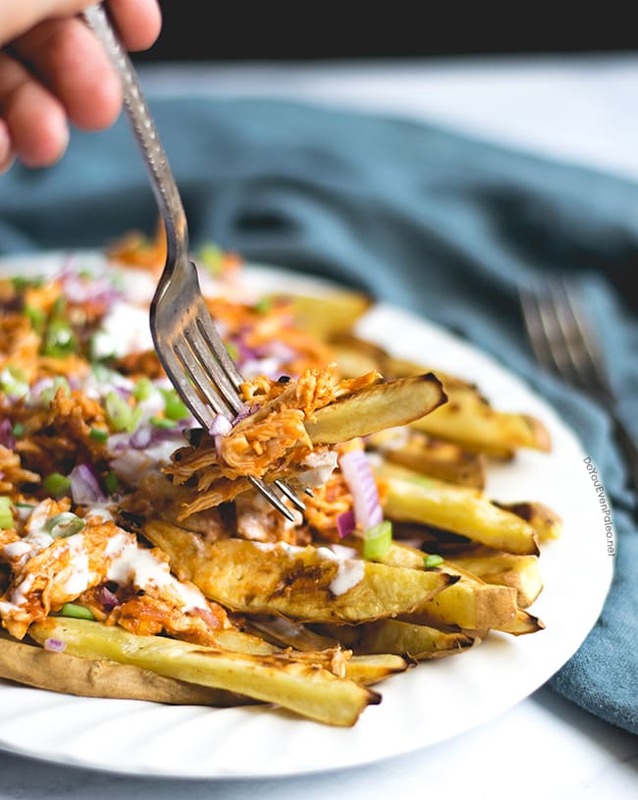 Once smooth and pourable, drizzle the thinned mayo over the smothered fries. Serve this hot mess and enjoy every second. Made this for dinner last night with a hot bbq – hubby and I loved it! Can’t wait to make it again. Don't subscribe All Replies to my comments Notify me of followup comments via e-mail. 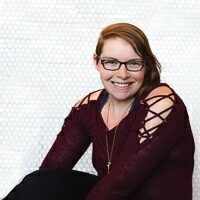 You can also <a href='https://www.doyouevenpaleo.net/comment-subscriptions/?srp=2716&srk=87505361eee98908ddf6ccb8681f50d6&sra=s&srsrc=f'>subscribe</a> without commenting.